Some bands have the ability to create feel-good music. Ingram Hill is no exception. Perhaps it’s because Hey Girl, a song described by lead singer Justin Moore as “an argument against the constant self-consciousness of almost every woman I know,” is making its way through my headphones as I write this, but I don’t think that’s the case. (Thank you, by the way, for writing a song with that message rather than telling me to pop, lock and drop it. Chivalry is refreshing.) Broken Lover acts as an amazing clincher and promises a solid album. Luckily, “Look Your Best” is a CD that delivers a feel-good vibe to its listeners from beginning to end. 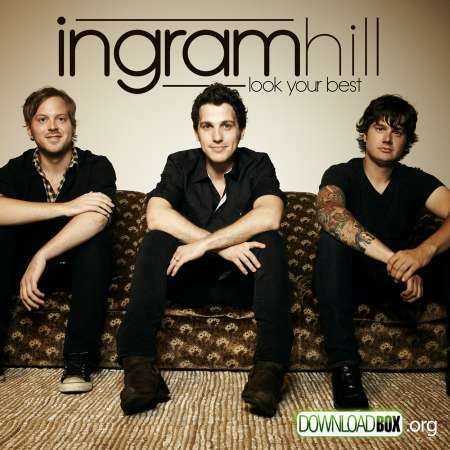 Ingram Hill, a rock trio based out of Memphis, gave themselves a month to write at least 20 songs to add to those they deemed record worthy for “Look Your Best.” Talk about a group of clutch athletes musicians. None of the songs sound as though they were skimped on, or suffer from a lack of effort. Imagine what all of us could accomplish if we had the same level of dedication displayed by Ingram Hill. However, I do have a bone to pick with “Look Your Best.” My main complaint about the CD is this: Ingram Hill does such a great job with harmonizing–so why isn’t it more prevalent on the album? As Long As I’m With You, the third song on the album, is unquestionably one of the best songs on “Look Your Best.” Whether it be a best friend, a significant other or a random person who sat next to you at a bar, it is dedicated to anyone who has helped you stay strong during a tough time. The song is extremely relate-able for anyone who has had an emotional struggle. (Newsflash: Unless you are Chuck Norris, I’m willing to bet you’ve shown a hint of emotion at some point in your life.) The song has the ability to speak to so many people; I just wish the group used it to showcase their ability to flawlessly execute a tight harmony. The chorus of the song has a few harmonies and stands as my favorite part of the song. As Long As I’m With You is also graced with the presence of a great bridge section. Choosing top songs for this album is difficult…because of something I actually respect it for. All of them deliver a feel-good vibe. So does that mean I should choose the ones that deliver the best feel-good feeling? That’s not a technique I generally exercise to critique the musicality and overall style of an album. But I digress. Hey Girl is a standout on the album. It is about a guy who doesn’t fall for the overly fawned over popular girl. He can’t take his eyes off of her best friend. Moore’s voice sounds as though it is actually twinged with the feeling desperation that he has to let this girl know just how beautiful he believes she is. Reminiscent of a Gavin DeGraw style ballad, it is certainly worthy of the “repeat” setting on your iPod. Other top songs include: Burn Out Your Flame, Lady Gray, Broken Lover and Wish You’d Stay. Click here to learn more about Ingram Hill. Tags: As Long As I'm With You, Broken Lover, Burn Out Your Flame, CD, Gavin DeGraw, Hey Girl, Ingram Hill, Lady Gray, Look Your Best, Music, Rock Ridge Music, Wish You'd Stay. Bookmark the permalink.